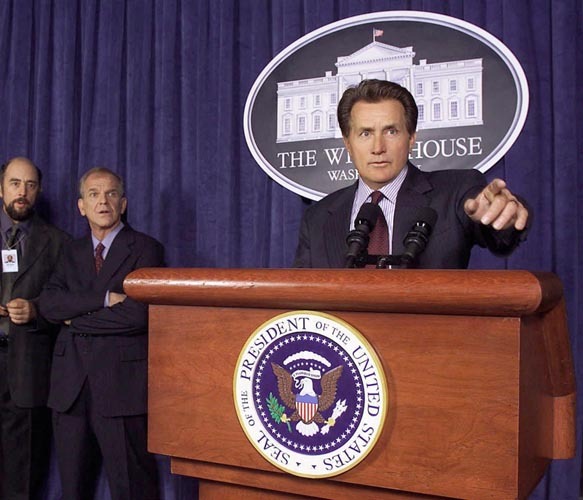 “She’s stealing my lines!”: President Josiah Bartlet, of The West Wing, might well have been disgruntled with Theresa May’s cavalier treatment of his words; the show’s scriptwriters certainly should be. Now she has been found apparently plagiarising lines from the popular White House drama The West Wing, in which Martin Sheen played a better US president than the current holder of that office. The similarity is too close to be coincidence, in This Writer’s opinion. The sad part is, Mrs May could have avoided criticism simply by admitting the ‘lift’. In fact, considering the reverence in which the show is held, she would probably have earned a little respect. But hubris, or stupidity, or negligence mean she has created just another crisis for herself. She can’t even palm it off on her advisors; after posting a message on Facebook apparently showing her writing her speech, she couldn’t claim it wasn’t all her own work, even if she wanted to do so. What next – jewellery depicting a Communist?